jesus god, there’s so many. I have to finish watching later cos my lunch break’s over. Should add an honourable mention for the Arkansas gymnast who had had the “perfect” vault for 9.825. I’m still salty about that score. That score is too low for the vault she did even if the judges were scoring fairly tightly, but that was ludicrous compared to most of the other vault scores that night. The score wasn’t that ridiculous. Her vault was out of 9.95 and completely lacked dynamic (barely any distance and not a lot of height). Nice form and body position aren’t the only things that matter. FTYs from top teams with much more dynamic have been scoring in the 9.75-9.8 range with a hop. 9.825 seems fair. It matters not…what I really see. Should rename this as”Only the CAROLS”…. Totally insane judging last week. Trinity Thomas bars was amazing – compare to Kyla (Short first handstand and boring to the max); Yanish was a pretty routing but 2 major foot slides and a looooooong concentration break ; Isis, cute but not major content or choreography, I mean seriously, JUDGES!!!!! come on, a 10 should be for something beyond perfection – should be memorable not just “yea, my feet didn’t move. ” The landing position should be straight no bend balancing for the stick. I really love Sarah F., but the handstands were not 100% and I’m not even going anywhere near Georgia, that would be a book. Trinity thomas Bar routine should be the standard – and no I’m not a Florida devotee, but that routine was really great. Judges don’t judge boring and frankly Kyla’s was the most deserved score on this list. Oh please, standard? Thomas consistently has bent arms going into the clear hip circle on high bar and pikes the first salto in her dismount. Very solid routine but not superior to Finnegan or Ross like you (and quite frankly, this blog) try to claim here. I love Kyla! She’s a beautiful gymnast but her routine IS BORING! She is an Olympian and as so should challenge herself. Shapsh bail toe shoot PLEZZE. It’s like watching compulsories. 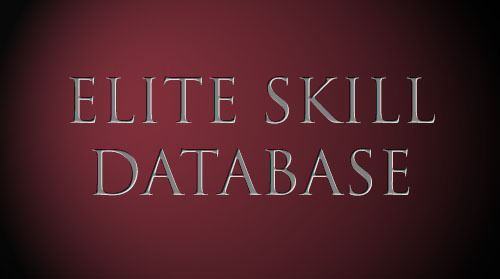 Most of the other previous elites use SOME of their elite skills in NCAA. 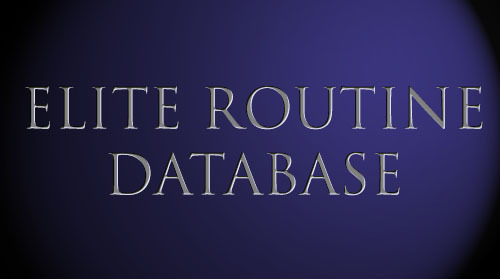 Routines based on difficulty, execution AND risk AND performance value should be rewarded…not strictly execution. You know that Kyla has a higher difficulty than most people, right? Just because it’s short, doesnt mean that it’s easy. I mean, you’re saying “should.” She “should” be held to higher standards because she was in the Olympics six years ago. Routines “should” be rewarded for ‘risk’ and ‘performance.’ Maybe they should! But these things aren’t part of NCAA rules – it’s not like judges are supposed to be implementing these standards and are not. NCAA judges are already doing enough not paying attention to their own rule book, as far as I’m concerned. Degouveia’s floor routine should have gone 9.85. She has serious feet issues on all 3 tumbling passes. How the judges deemed all 3 of those OU floor routines a 9.975 I do not understand! Also no one seems to be listening to the person who keeps pointing out that Kyla’s routine IS one of the more difficult in NCAA. It looks easy because it’s well-constructed (aka short) and because she is great at it. Also I hate NCAA scoring but open-ended scoring does not belong in NCAA if you want to ever see competition that extends beyond the top three teams. A lot of times when people talk about Kyla’s routine, it seems like they’re upset with Kyla herself. I don’t get this. If you’re upset with the way the code is written because it doesn’t require a same bar release, it’s not open-ended like elite, etc. then that makes sense. But if people are actually mad at her for composing her routine in a manner that starts out of 10 and has proven to be a reliably good routine for her, I don’t understand. It’s a sport. The whole point is to score as highly as possible. She’s found a routine that she can reliably score 9.95+ on. That’s excellent sports strategy. It would be silly of her to do a routine that isn’t going to score as well, and from what she’s said, they have yet to find a routine as reliable as this one. Emily Muhlenhaupt definitely had the routine of the week, for me. Wow! All this uproar over Kyla’s bars…No of course I’m not mad at her. She can do any high scoring safe routine she wants…but I still think it’s boring and it’s obviously NOT hard… (at least for her) which is why she chooses to do it. (And do you truly think a Sapash, bail and toe shoot is hard for any of these athletes?) But really…would you want to see that routine composition more than once in a line up? Not me…I NEED a Trinity or an Amelia or a Brenna routine to elevate the artistic component as a spectator. And she’s not just someone who “was in the Olympics” six years ago… She’s Kyla freaking Ross…youngest 2012 Olympian and World ALL AROUND Silver and Bronze medalist in 2013 and 2014 respectively. I am as disappointed in her throwing that bar routine as I am when an Olympian throws a LOSO as a floor pass in an Olympic “TOUR” routine. I want to be entertained. I wanna see your best stuff. That’s why I respect Brenna and McKayla and other in their contributions to the ever increasing quality of NCAA gymnastics! I just wanna see ALL that awesomeness that Kyla and the other Olympians and elites have to bring! I mean they only have a few more years to even DO competitive gymnastics…why be boring when you can & should, BRING IT! IMHO!